All you have to do is Google the term “Why I Left Church”. What you’ll find is pages of articles written by people who have left church, even notable people, and open letters to churches instructing them about reasons why people are walking out the door and never coming back. While it is true that there is a shaking of sorts happening in the modern church – which isn’t bad, we must be careful that in this shaking we don’t take on a cynical attitude toward denominations and organized church. In my article 5 Reasons Why Christians May Need to Leave Their Church, I urged my readers that if they find themselves in a situation where they must leave their church, to “leave to a church”. It is never biblical, nor healthy, to just leave church. The Bible instructs us to gather together as a local body for encouragement, edification, and support of one another. My concern is that the tendency of this generation to over-sensitivity and offense has rubbed off on the church, and members are quick to find fault with the church. Just as with moving to a new town, the first phase in your new church is typically wonderful. You are new and generally the people are very welcoming and friendly. Then the newness wears off and with it the bloom. Here’s the thing, there are no perfect churches because the church is made up of humans. Humans are imperfect people and when you get 20, 30, 100, 200, or more imperfect people in gathering on a consistent basis, the likelihood of annoying things taking place is pretty much guaranteed. We can either allow that truth to humble us or make us cynical. The right choice is obvious here: we need to allow that truth to humble us and take us to our knees in prayer that God will use us as a vessel for His blessing to our local community of believers. Over the next two weeks we’ll be discovering how to extend God’s love to the body of Christ. 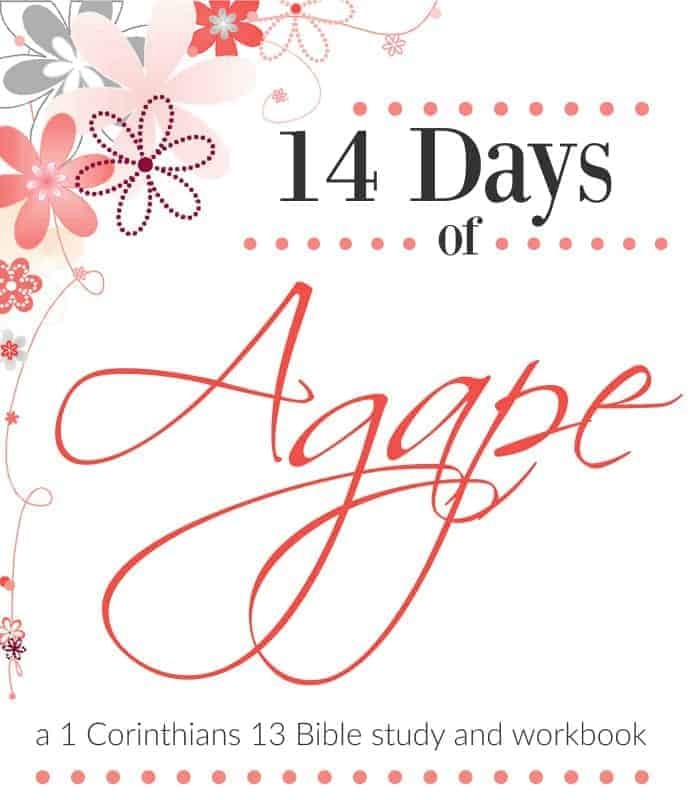 14 Days of Agape is an online Bible study that takes you through 1 Corinthians 13 verse-by-verse, discovering what Paul really meant when he wrote this “love chapter”. There is still time to register and the details are at the end of this article. Over the next two weeks I’ll be giving you a Love Your Church challenge! There is nothing like genuine prayer to help love grow in your heart. All throughout the New Testament we see how much Paul prayed for the church. In fact, he instructed us to pray for the church as well. 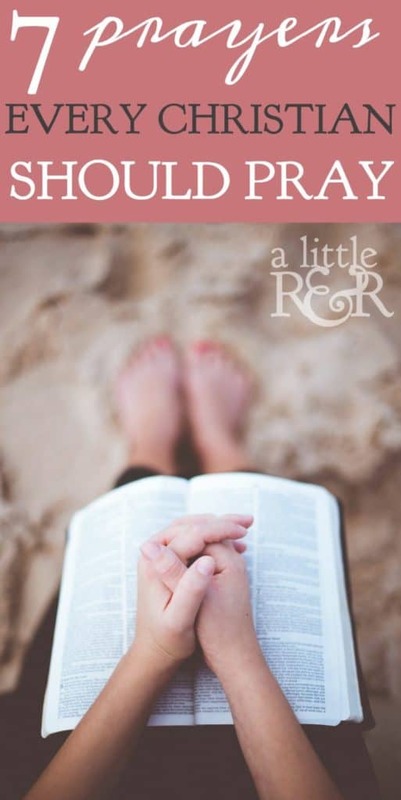 Two years ago, I researched prayers for the church and put them in my first-ever 30 Day Prayer Challenge. 1. Pray for God to change my heart. The hardest prayer we’ll ever pray is “God change me”. When we authentically pray this prayer, we are taking the first steps in humility, recognizing that true change first starts in the depths of our hearts. If you are experiencing conflict in your church, or are sensing frustration, this is the first prayer you should pray because sometimes all we need is a heart adjustment to realize that sometimes the frustration or friction we feel is our own flesh trying to get in the way. 2. Pray for pastors and leaders in my church. Do you regularly pray for your pastor (and his family) and church leaders? Our spiritual leaders need our consistent and earnest prayers. God has given them to us to encourage and guide us spiritually and the enemy would love nothing more than the discourage them, tempt them, and destroy them. I challenge you to spend time daily praying specifically for your pastor – not just your church in general, for his family, and for each of your church leaders and their families. Pray specific prayers for them, their marriages, their children, their homes, and their own spiritual growth and protection. 3. Pray for families in my church. Strong families are essential to a church. I truly believe that strong, stable, and loving families are an essential part of our testimony as a church, because in this generation of fractured, dysfunctional, and even distorted families the church can stand out as a light in this area. In fact, we see strong, stable families as God’s desire all throughout the Bible as He instructs the fathers to teach their children. We also see Paul’s instruction to the fathers to not provoke their children. We see Paul writing to Timothy to instruct the older women to teach the younger women to be caring mothers and homemakers. Strong families are a desire of God’s heart because they reflect His own father-heart toward His children. We need to pray earnestly that the families in our church remain strong, stable, and loving – establishing a firm foundation of faith and passion for God and His Word! 4. Pray for the children and youth in the church. Children and young people today face challenges that few previous generations ever faced. The temptation for substance abuse, the level of peer pressure, and the emotional damage of bullying is far greater than it ever was in my generation. This is partly due to amount of media consumed by young people today and the fact that most young people are on social media – and are thus are less likely to pull away from the peer pressure and bullying they are bombarded with. We need to pray that God strengthen them and infuse them with a passion for Him and His Word that will help them stand alone when faced with ungodly influences: from teachers, from peers, and from their enemies. 5. Pray that God unifies their church. Imagine what God could do through a unified church. Imagine what God could do in a city where the unified churches came together, despite their theological differences, demographic variances, and wide-range of methods in how they conduct their worship celebration. Imagine if the churches in your city banded together as one to bless their city, reach the lost, extend a hand to the hurting and destitute. How would that alter how people perceive God? The enemy knows the power of a unified church. He knows that when members of a church can lay aside their personal opinions and come together in unity that there is literally nothing God cannot do through them to touch a world in need. This is why we need to pray for unity – because the enemy works day and night to keep the church from enjoying this powerful blessing! 6. Pray for para-church organizations in their city (namely homeless shelters and outreach organizations). Do you know what para-church organizations are operating in your city? Do you know what they are doing to reach the lost and meet people’s needs? My challenge to you is to make a list of these organizations and their particular area of outreach and begin consistently lifting them up in prayer. Most para-church organizations operate on donations and volunteer work. Pray that God send them faithful workers and the finances they need to continue to reach the lost and bless your city, as they seek to be God’s hand and feet in very practical ways. 7. Pray for the lost in their city. It is God’s will that none perish. Based on that fact, we should daily pray that God will reach the lost in our cities. We should pray generally for all the lost in our city, and specifically by name for those God has placed in our lives who do not yet know Him as their Lord and Savior. I invite you join me on a 14 day journey in learning how to love the church God’s Way. Read the previous post: « Can a Woman Biblically Teach or Preach in the Church?